The New Zealand government said on October 17 that it is to review its free trade agreement (FTA) with ASEAN, citing a rising number of non-tariff barriers that hinder bilateral trade. 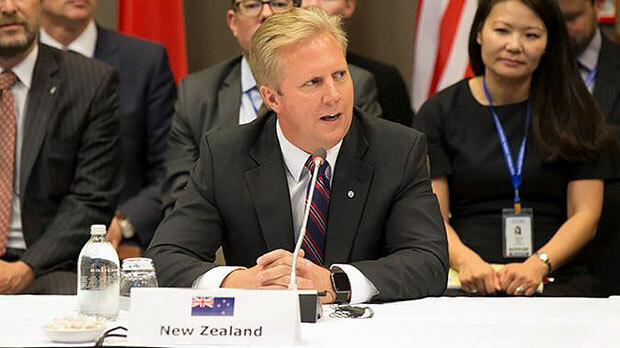 New Zealand Trade Minister Todd McClay said the ASEAN-Australia-New Zealand FTA has lifted New Zealand trade with the region by 25 percent since 2010 when it came into force. The deal has reduced or eliminated tariffs across many of New Zealand’s exports into key Southeast Asian markets. It is expected to deliver 50.42 million USD in cost-savings for New Zealand exporters this year and 68.18 million USD once the staged elimination of tariffs was completed after 2020. However, McClay said exporters of both goods and services are facing an increasing number of non-tariff barriers in Southeast Asia, such as import quotas, subsidies, customs delays and technical barriers, which are holding them back. The government review would take place ahead of a comprehensive review of AANZFTA by New Zealand, Australia and ASEAN countries next year. According to him, the review will help the country better understand the business perspective before going into the broader review as well as seek possible improvements to the agreement. The introduction of more liberal and transparent trade rules under the FTA helped increase New Zealand’s trade with ASEAN from 8.52 billion USD in 2010 to over 10.66 billion USD last year./.